An activist's guide to changing the world. or click here and scroll down to read online. Northern Ireland is in chronic communal conflict. For there to be a democratic solution, a wider framework than Northern Ireland is needed. Read more about Qui était Che Guevara? Un texte rédigé par l’Alliance for Workers Liberty (Alliance pour la liberté des travailleurs), une organisation trotskyste britannique, et qui explique leur conception du socialisme. Le socialisme est sans doute le mot le plus mal compris dans l'histoire. De nombreuses personnes décrivent les régimes meurtriers staliniens en Russie et Europe de l'Est qui se sont effondrés en 1989-91 comme ayant été socialistes. D'autres décrivent les tyrans désormais au pouvoir en Chine, la Corée du Nord et Cuba comme étant socialistes. Mais ces États n'ont rien à voir avec le socialisme. For most of the 20th century, the common image of "socialism" was the USSR and the other states modelled on it, China, Cuba, and so on. What is the Alliance for Workers' Liberty? Read more about What is the Alliance for Workers' Liberty? 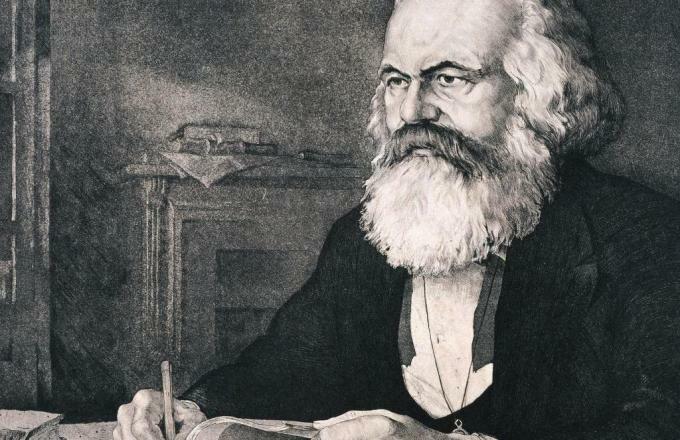 Karl Marx (1818-83) was born into a middle-class family in Germany. At university he was one of many radically-minded philosophers. In his mid-20s, partly under the influence of workers' socialist groups he met during a stay in Paris, he decided to throw in his lot with the working class then emerging as a social force in Europe. Read more about Who was Karl Marx? When they finally started to push back the militant trade unionism of the 1970s, the Tory governments of the 80s tried to screw down the lid by bringing in laws that fundamentally undermined trade unions' right to organise and take action. Meanwhile, a wave of privatisations and bankruptcies swept the British industrial landscape. Whole sectors of the economy (coal-mines, machine-tools, docks, newspaper printing, textiles, railways) were shattered and whole communities destroyed. "The emancipation of the proletariat is not a labour of small account and of little people: only they who can keep their heart strong and their will as sharp as a sword when the general disillusionment is at its worst can be regarded as fighters for the working class or called revolutionaries"
guarantee a regular minimum of participation at AWL meetings (e.g. weekly branch meetings) and public activities (e.g. paper sales, street stalls, distribution of workplace bulletins).